Quick mission this morning up to Sonora Pass and back to the People's Gate on the front end of our incoming storm. 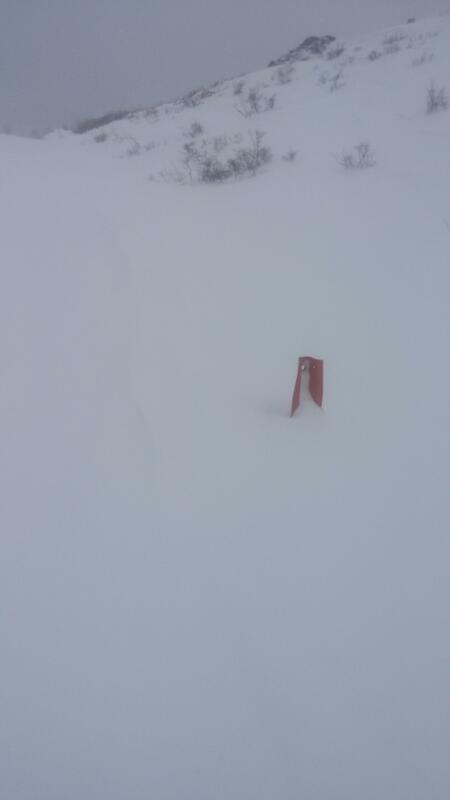 Below about 8K, our snow surface consists of a melt-freeze crust capping dense, moist snow from our recent storm cycle. Above 8K the melt-freeze crust transitions to a zipper rain crust becoming more transparent and stout as you increase in elevation. 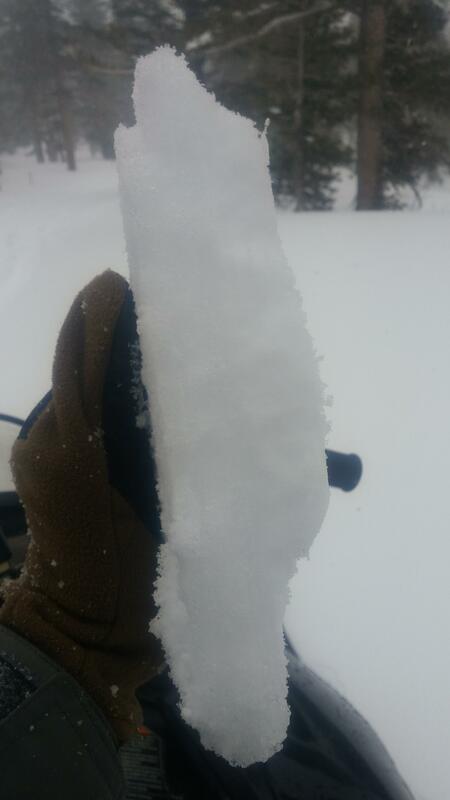 This thin, breakable crust is overlaying dense, spongy moist-to-dry snow (depending on aspect and elevation). Approximately 1 in HNS had accumulated above 9K prior to our late morning exit with some graupel intermixed. 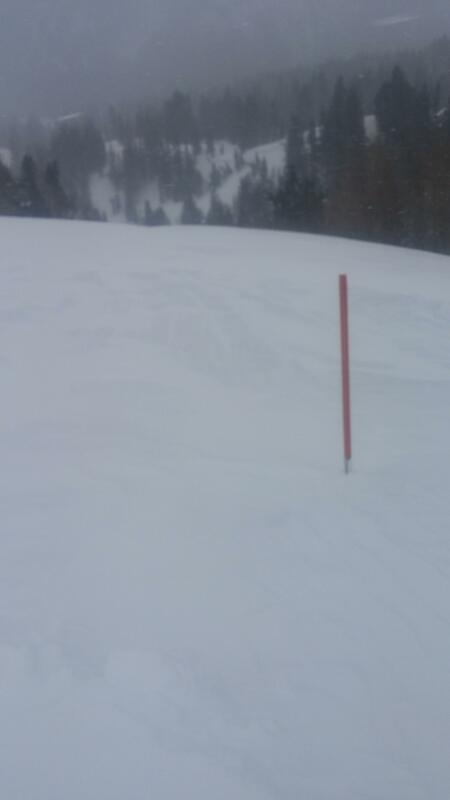 New high-density snow seemed to bond relatively well to the surface crust at and below treeline however I anticipate snow bonding increasingly poorly at this interface as elevation increases. Higher snow density on the front end of the storm as well as sustained M-S winds may exacerbate the potential for slab avalanches at this interface Monday and beyond. The glassy appearance of the rain crust at higher elevations will make it easy to identify in wind-scoured areas, potentially as a bed surface for avalanches, as well as in both hand and full snow pits. 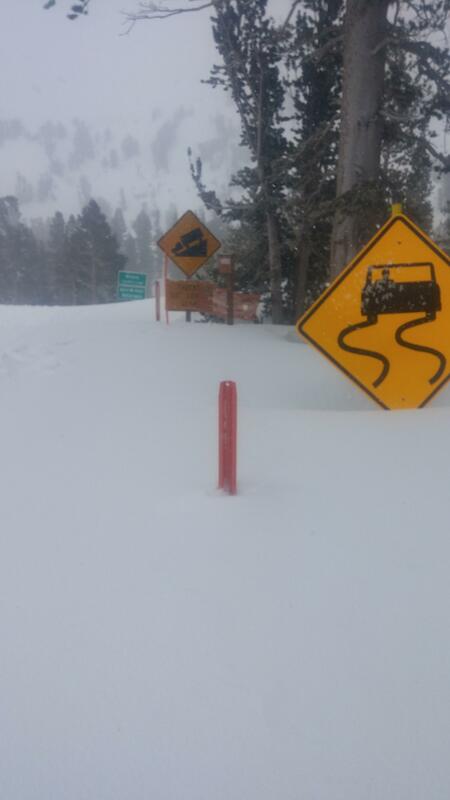 Our growing snowpack in and surrounding the BWRA is on the verge of overtaking a variety of roadside obstacles such as signs and orange road markers (see photos). Many may be at or just below the snow surface after tonight's storm. Use caution and watch your speed when leaving and rejoining the road as these objects represent a significant hazard to sled and rider. 38 degrees with overcast skies arriving at the trailhead at 8:30am. 35 degrees with a rain/snow mix departing the trailhead at 11am. S2-S5 snowfall with moderate winds at Sonora Pass at 10:00am.